Jitendra Singh, who is banking on his development report card, has challenged the previous governments to compare their six-and-half decades long work with his government’s performance as he seeks votes in the name of bringing back Prime Minister Narendra Modi to power in New Delhi. Mehbooba Mufti-led PDP has also not fielded any candidate against him in a bid to ensure that the secular vote bank does not get divided, thereby, giving benefit to Singh, party sources said. 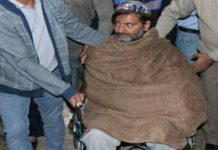 Meanwhile, Dogra Swabhiman Sangathan (DSS) founder and former BJP minister Choudhary Lal Singh, who won the seat in the 2009 general elections, has also thrown his hat into the ring. He may play spoilsport and dent the Hindu vote bank in Kathua district. He had recently announced to fight from both Jammu and Udhampur parliamentary constituencies in the upcoming Lok Sabha polls. 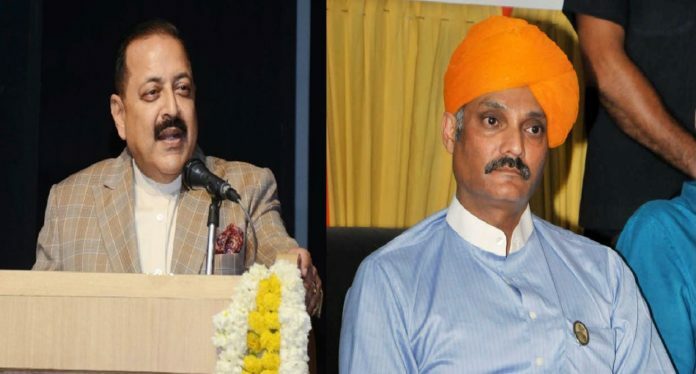 The Udhampur-Doda constituency will see four Rajputs – Jitendra Singh of BJP, Vikramaditya Singh of Congress, DSS founder Choudhary Lal Singh and Harsh Dev Singh of Jammu and Kashmir National Panthers Party (JKNPP) – fight it out, but the main battle is expected between the BJP and Congress contenders. “We clearly see a direct battle between Jitendra Singh and Vikramaditya. While Jitendra is positive about the work done during his tenure, Vikramaditya is counting on his legacy and the joint vote bank of the Congress and NC in Udhampur,” political expert T K Bhat told agency. Jitendra Singh had on Friday began his political campaigning by addressing his first jam-packed public rally on Ram Leela ground, appealing the electorate to vote for him with an aim of bringing back Narendra Modi to power. “I am seeking votes on my development report card of five years, which is in itself is a history of sorts, when it comes to development in this constituency. 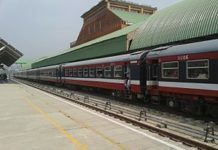 There is a long list of major infrastructure projects undertaken and completed in the last five years,” he told reporters here. “Voting in my favour is voting for the return of Narendra Modi,” the doctor-turned-politician added. 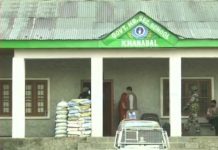 The Minister of State for the Ministry of Development of North Eastern Region is believed to have strong support in Reasi, Bhaderwah, Kishtwar, Katra, Ramban, Kathua, Udhampur, Basholi and Billawar assembly segments, where the BJP did not fare well in the last Lok Sabha and assembly elections. But it is not going to be smooth sailing for the BJP. The saffron player is ‘worried’ about a split in votes after its rebel candidate and former BJP minister Choudhary Lal Singh, who floated a new outfit last year, decided to test political water in Udhampur. Congress candidate Vikramaditya Singh is contesting for the first time. “I am lucky to be part of a party which has played a great role in taking the country to great heights…My family has served the people of the state for centuries and I am hopeful of getting support to serve them again,” he said. The former member of the state legislative council joined the Congress in October last year after ending an over two-year stint with the PDP over the alleged failure of the BJP-PDP government to address issues of Jammu region. “It is a big responsibility and I am hopeful of getting the cooperation of the people as the Congress is the only party which can guarantee communal harmony, safety and all-round development,” Vikramaditya Singh said. The UdhampurDoda seat had been the Congress bastion since 1967 barring 1996, 1998, 2009 and 1999 when BJP’s Chaman Lal Gupta won followed by Jitendra Singh in 2014.